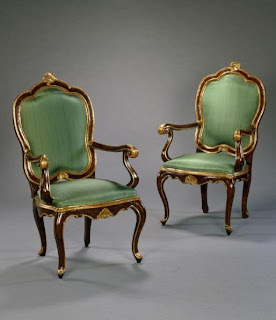 The elaborately shaped backs of Antique Rococo chairs are carved with gilt rolled edges and a foliate scroll at the apex of the back and a stylised shell at the base. 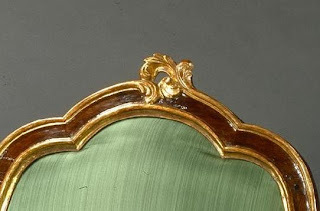 The scroll arms and arm supports are similarly embellished with an acanthus leaf carved at the terminals. 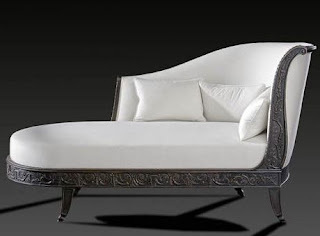 The front seat rail of this antique furniture is carved at the centre with a shell cartouche flanked by 'S' scrolls. 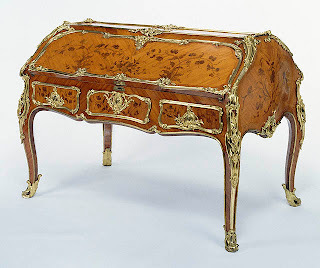 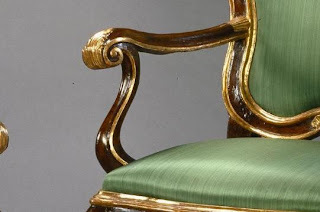 The antique chairs stand on cabriole legs and terminate in a gilt shell foot.